a film by a film by JORGE RUIZ. La Vertiente tells the story of the struggle of a community in the Amazon to gain access to drinking water, intertwined with a romance between a teacher from La Paz and a caiman hunter from Rurrenabaque. The director Jorge Ruiz uses a historical fact to relate a love story. a film by a film by Thomas Kronthaler. Alfonsina lives in Copacabana, a small town by the lake Titicaca. Together with her best friend Tere, Alfonsina has vowed to leave this boring place in order to see the world. But until the girls are ready to do so, they collect postcards from countries all over the world. 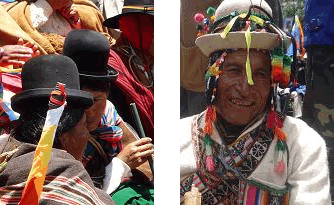 The arrival of a student from Munich and a businessman from La Paz marks the beginning of their final days together. We are also very happy to announce that there will be delicious salteñas for sale on the day! £10 for two films or £7 for one. 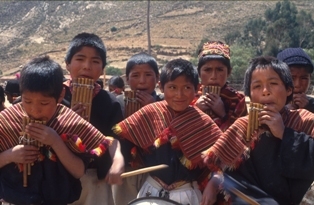 Friends of Bolivia is a UK based charity dedicated to improving the living conditions of Bolivia’s most vulnerable people by providing financial assistance to charities and NGOs working in the country.